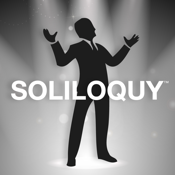 Soliloquy™ is the perfect monologue finder and manager for students and theatre professionals. Do you need a monologue for auditions for a class? 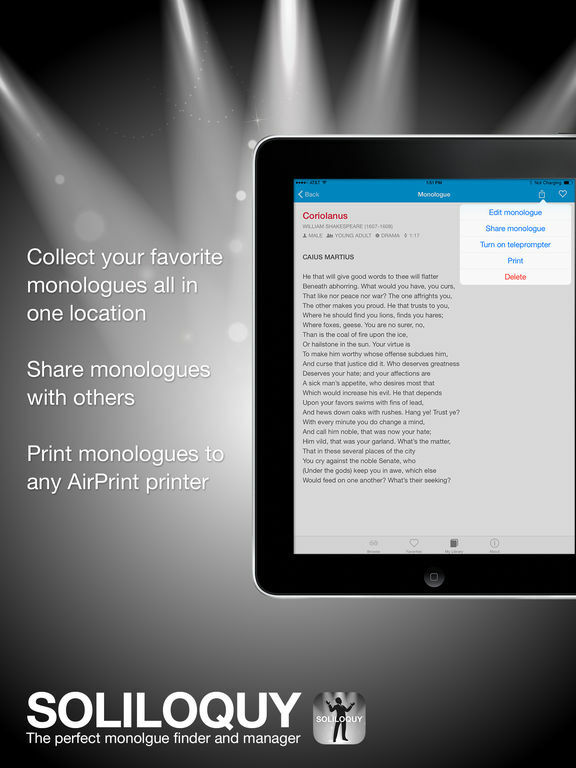 Are you tired of the same overdone monologues that everyone seems to perform over and over? 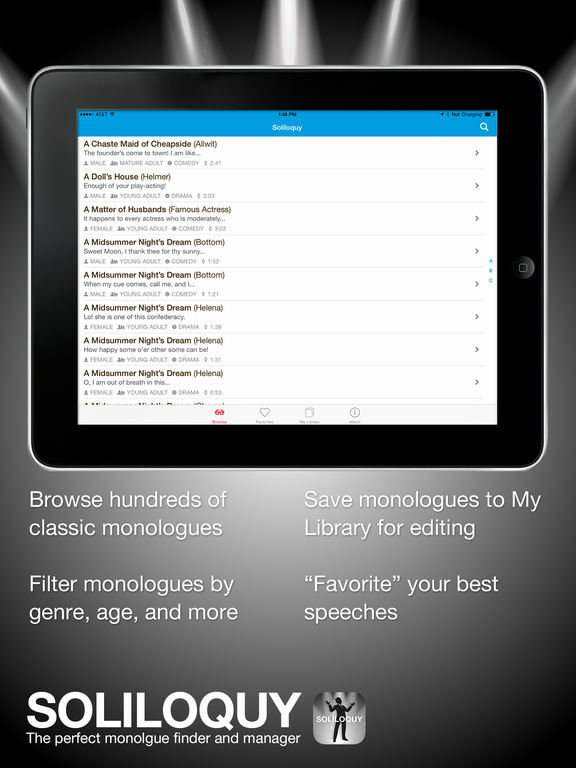 With over 1000 monologues to choose from, you can filter them by age, gender, genre, length, and more to find just the right speech for you.